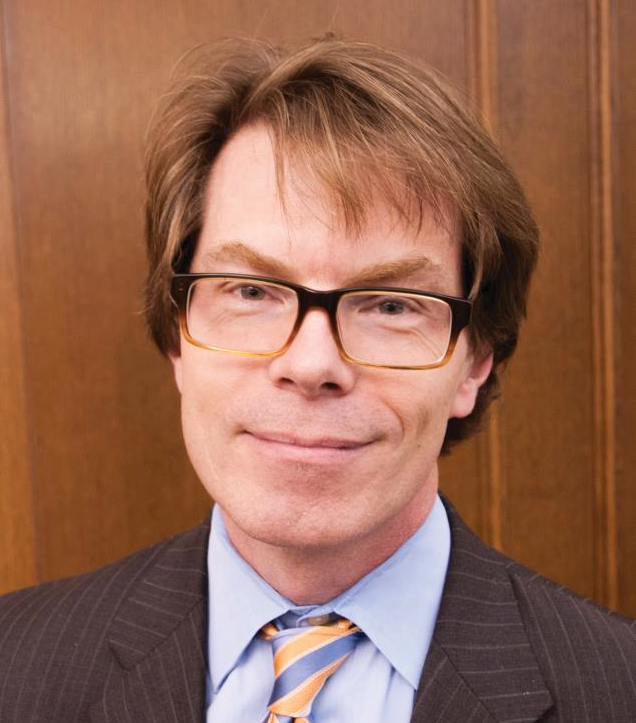 The HathiTrust Board of Governors is pleased to announce the appointment of Mike Furlough as the Executive Director of HathiTrust. Furlough comes to HathiTrust from The Pennsylvania State University, where he is currently Associate Dean for Research and Scholarly Communications. Furlough has more than a dozen years of experience leading initiatives in digital scholarship, content stewardship, and scholarly communications, and has served for the last nine months as an inaugural member of HathiTrust's Program Steering Committee. Furlough will begin his tenure as Executive Director on May 19. "We are thrilled to welcome Mike Furlough to the leadership of HathiTrust," said Brian E. C. Schottlaender, chair of the HathiTrust Executive Director Search Committee and The Audrey Geisel University Librarian at the University of California, San Diego. "Mike's deep commitment to scholarship, and demonstrated abilities to build partnerships, innovate in new scholarly areas, and develop and execute a strategic agenda make him well-placed to sit at the helm of this growing and dynamic organization. We very much look forward to working with Mike in his new role." Furlough will carry forward the mission of more than 90 academic and research institutions working to transform scholarship and research in the 21st century. The partnering institutions currently own and maintain a trusted digital repository of more than 11 million volumes, digitized from partner library collections and other sources. The repository has become a unique preservation and access platform, supporting cutting-edge initiatives in open access, copyright review (the Copyright Review Management System), computational research (the HathiTrust Research Center), and a broad effort to expand access to US federal government documents, among others. “This is a fantastic time to join HathiTrust, and I'm honored to have this opportunity to lead it," said Furlough. "HathiTrust has dramatically increased access to the published record, and created a membership structure that governs a shared, distributed infrastructure for preservation and innovative use. We're poised now to build upon those achievements, and transform the ways that research libraries collaborate to produce knowledge. I’m eager to get started." As Associate Dean for Research and Scholarly Communications at Penn State, Furlough has overseen the development of programs to improve access to and innovative use of rare materials and special collections, support research data curation and e-records management, and promote campus publishing initiatives. Most recently, he oversaw the creation of ScholarSphere, a preservation service for Penn State research and scholarship, and the initial development of ArchiveSphere for archival materials, both developed jointly by the Libraries and Penn State’s Information Technology Services. Prior to his position as Associate Dean, Furlough was Assistant Dean for Scholarly Communications at Penn State and Director of Digital Research and Instructional Services at the University of Virginia. "Mike's appointment as Executive Director is an important transition for HathiTrust," said Sarah Michalak, chair of the HathiTrust Board of Governors and Associate Provost and University Librarian at the University of North Carolina, Chapel Hill. "We look forward to his leadership in HathiTrust's next phase, as we continue to bring our collective resources to bear on ensuring a vibrant environment for scholarship and research." HathiTrust is an international partnership of academic and research institutions dedicated to ensuring the preservation and accessibility of the vast record of human knowledge. The partnership owns and operates a digital repository containing millions of public domain and in copyright volumes, digitized from partnering institution libraries and other sources. The preserved volumes are made available in accordance with copyright law as a shared scholarly resource for students, faculty, and researchers at the partnering institutions, and as a public good to the world community. For more information, visit HathiTrust.org.